Since its launch in 2015, Center of Excellence in Operations and Information Management (CoE-OiM) has pursued a research direction based on teamwork to the multidisciplinary nature of Operations and Information Management. In accordance with the resources of the renowned Thammasat University and Thammasat Business School, CoE-OiM is able to conduct the research that focused on developing and disseminating knowledge in Operations and information management via advancing managerial practices as well as journal publication. 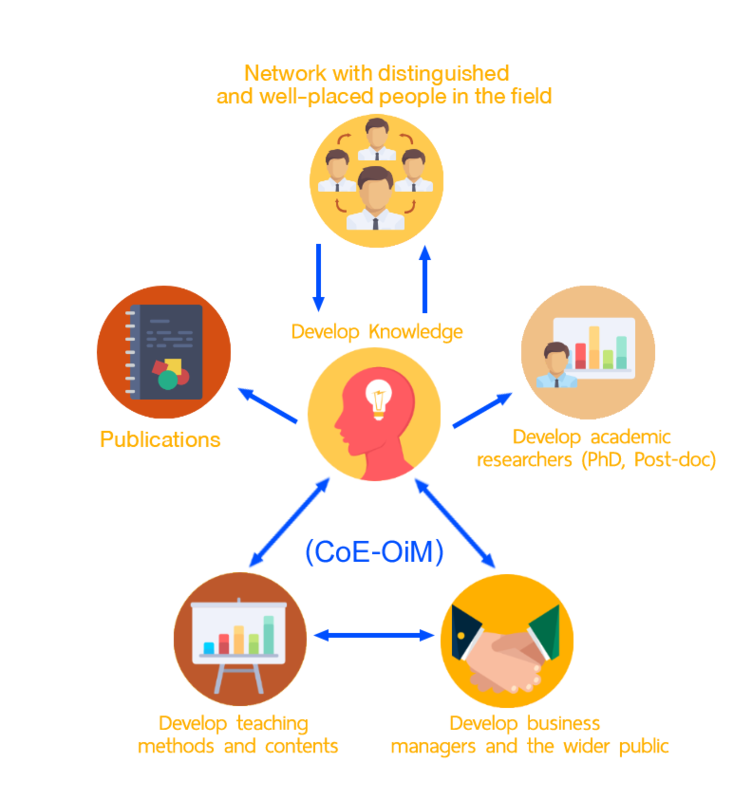 The CoE-OiM members conduct scholarly and rigorous research projects using mixture of methods including theory construction, modelling, theory testing and developing application tools by working with practitioners and through collaboration with other both domestic and international research institutions. We also offer service to practitioners including knowledge transfer, commercial consultancy and executive education. Our research aims to benefit students (i.e. Master and PhD students, Research Fellow), academic staffs, policy makers, consultants, business managers, and the public in order to use our research output as a source for the development.